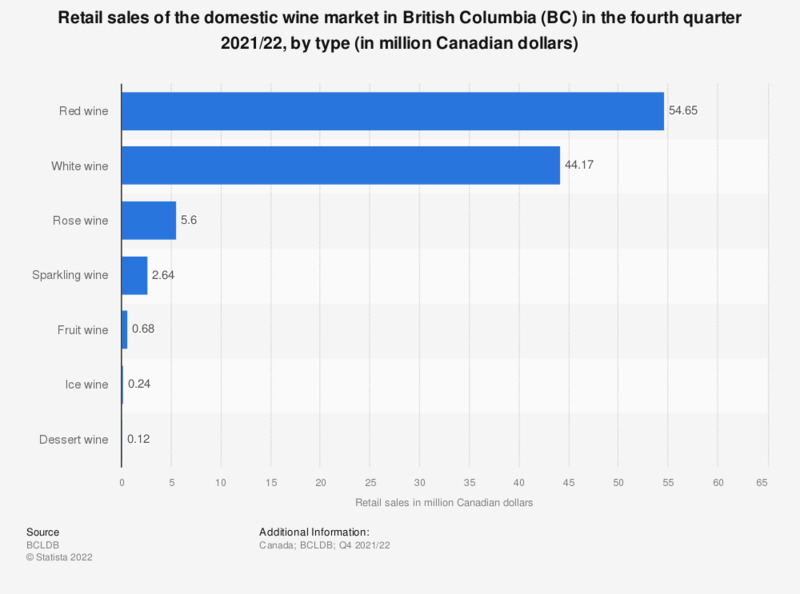 This statistic shows the retail sales of the domestic wine market in British Columbia (BC) in the third quarter of 2018/19, by type. According to the report, retail sales of white wine from British Columbia amounted to approximately 57.71 million Canadian dollars in the Canadian province of British Columbia. Figures are for the fiscal year ending March 2019.